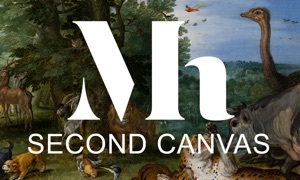 Second Canvas Museu Nacional app is your tool for exploring the Museu Nacional d’Art de Catalunya collections in super high resolution, like never before. Created by Second Canvas Museu Nacional and Madpixel, Second Canvas allows you to explore highlights of its Collection, with the best quality and resolution. • Available in Catalan, Spanish and English. We hope you’ll enjoy Second Canvas Museu Nacional. Send us your experience with the App and help us to improve: [email protected] "